IP65 interchangeable twist & lock bezel for E5 Fire Rated Downlights, warm white 3000K & cool white 4000K 84407. 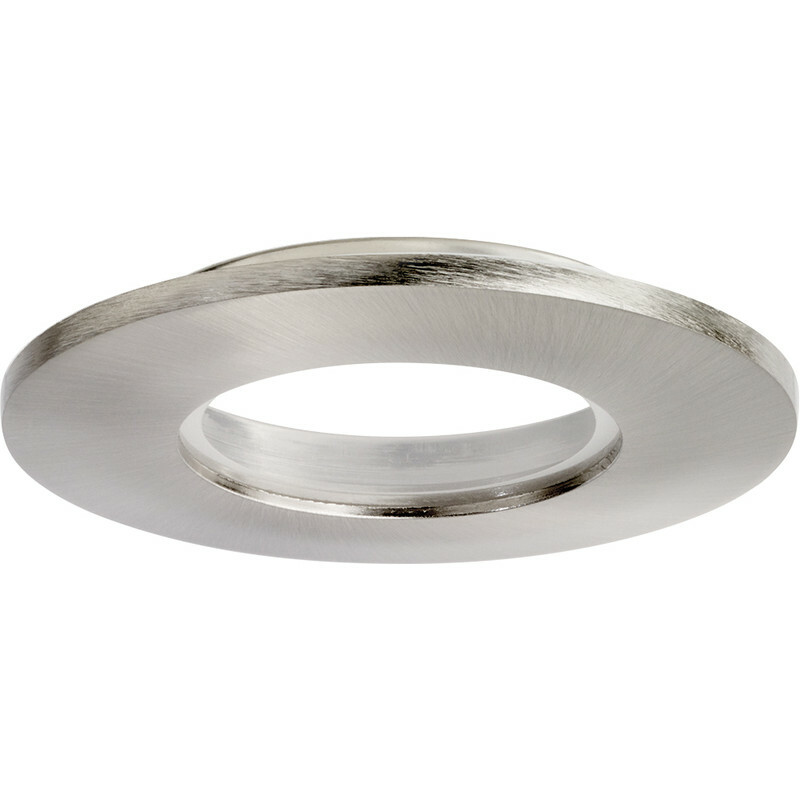 Enlite E5 IP65 Twist & Lock Bezel Satin Nickel is rated 5.0 out of 5 by 2. Rated 5 out of 5 by Woodsy from Twist & Lock Bezel Polished Chrome Easy to fit to the Enlite E5 Downlighter and easy to remove for painting the ceiling, good quality finish, would recommend this light fitting. Rated 5 out of 5 by Dbody from Quality item Bought the chrome bezel to fit on matching Enlite LED downlighter. They look great and are quite weighty so feel a quality item. Easy twist lock fitting.